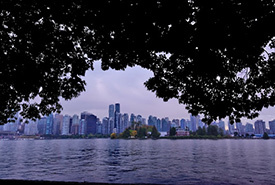 Last September I travelled to Vancouver, BC. It was my first time on Canada’s West Coast, and I was really impressed. While I enjoyed exploring the city itself, it was the nature activities that really stood out for me. During the six days I was there, I visited Stanley Park three times. This beautiful, green oasis is right in the middle of Vancouver. 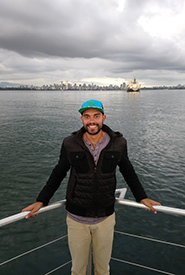 I couldn’t believe I was still within city limits, given the park’s lush forests and stunning mountain and ocean views along the Seawall, a bicycle path along the water. As I cycled, I heard the soothing sounds of crashing waves and saw majestic mountains in the distance. At one point, I noticed a harbour seal basking on a rock. 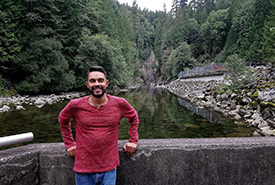 On another day, I went to Capilano Suspension Bridge Park, a park in the middle of a rainforest that houses a world-renowned suspension bridge that crosses over a steep canyon. 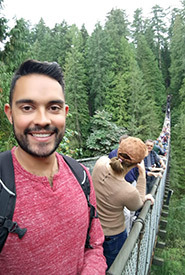 When I first arrived, I went on the Cliffwalk, which follows a steep granite rock face along the Capilano River, with bridges, stairs, platforms and stunning views of the canyon below. I then went on the Treetops Adventure, a series of seven mini-suspension bridges attached to tall, old-growth Douglas-firs. After that, I went strolled along a boardwalk through the rainforest, passing a trout pond and towering coniferous trees. During the walk, I stopped to see a peregrine falcon and great horned owl that were visiting the park from Raptors Ridge, a facility that educates the public about birds of prey and wildlife conservation. Finally, I gathered enough courage to go on the main suspension bridge. As expected, the bridge swayed back and forth and there was a significant drop to the canyon below, but I wasn’t afraid given the number of visitors it gets regularly. After exploring Capilano Suspension Bridge Park, I visited the nearby Capilano River Salmon Hatchery. To reach it, I hiked through a lush forest of astonishingly tall trees and fast-flowing creeks and rivers. At the hatchery, I saw live salmon and learned about their life cycle. The next day, I hiked in North Vancouver with one of my cousins and his girlfriend. He had recently moved to Vancouver from Toronto and I hadn’t seen him in a while, so it was nice catching up with him. The trail passed through a dense forest of Douglas-fir, hemlock and tiny creeks. 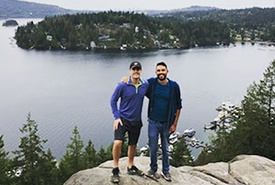 After about 30 minutes, we reached the end, where we rested on Quarry Rock, a large rocky outcrop overlooking Deep Cove and toward the mountains. On my last day, I went whale watching. The boat took us to see a pod of resident orcas. A couple of orcas were quite daring and came near the boat, leaping out of the water and doing aerial tricks right before our eyes. It was almost like they knew we were watching and put on a show for us. Our tour guide pointed out an ill orca calf named J50 that had been all over the news. Sadly, this orca passed away shortly after I returned home. On our way back to shore, we saw two humpback whales. Unlike the orcas, they didn’t completely breach, so we just saw their backs and tail flukes. Overall, I had an awesome time in Vancouver and would go back in a heartbeat. Of all the Canadian cities I’ve visited, Vancouver is my favourite. It’s perfect for someone like me who likes the excitement of city life, but enjoys the wonders of natural areas even more. 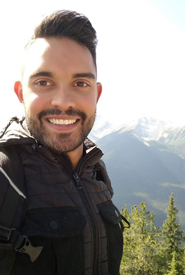 Adam Hunter is the editorial coordinator at the Nature Conservancy of Canada. Read more about Adam Hunter.